Do you know search engines (especially google) always love quick loading websites and its one of the key factor to rank well in search engines. 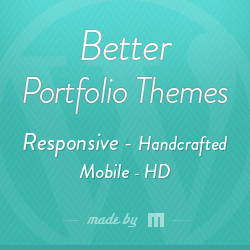 Here we showcase 100’s of minimal responsive wordpress themes that helps you to rank well. Find the best minimal premium wordpress blogging theme you like and download them now.